When we think of the Bush War On Terrorism we tend to think of the major terrorist organizations like ISIS, al Qaeda in the Middle East, Hezbollah and Hamas in the Israeli/Palestinian conflict and more recently Boko Haram in Nigeria, Africa. These are the groups that have been making headlines in the last year or two. Recently Boko Haram and ISIS agreed to join forces in what has become a general war against wealth and corporate greed. How soon we forget the other active terror groups; the Palestine Liberation Organization (PLO), Hezbollah and Hamas, actively carrying out guerrilla warfare against Israel, and of course, the Irish Republican Army which has been carrying out a complex civil rights battle between the Catholics and Protestants and collectively against the British Crown. There has always been terrorism. It is the kind of conflict that the common people can carry out against an organized national military because it involves guerrilla tactics of unexpected hit and run. Lately the number of terrorist groups has escalated. And the terrorists have taken their attacks to new levels including personal suicide missions. They are strapping bombs on their bodies or their cars and walking or driving into specific targets before blowing themselves up. We haven't seen that kind of determined rebellion since the Japanese kamikaze attacks on allied ships during World War II. So what is causing all of this insanity? President Bush committed the United States to endless warfare when he declared a War On Terrorism after the 9-11 attacks in 2001. American troops have been battling the established terrorist groups in the Middle East ever since. But instead of seeing the wave of terrorist go down, it appears to be getting worse. The ISIS movement, or creation of an Islamic State of Iraq, resulted from the Bush and British invasion of Iraq in 2003. Now instead of bringing troops home and reducing our conflict in Iraq, President Barack Obama is committing American armed forces to battling ISIS forces. It is shocking to review the U.S. State Department’s formal list of 68 different terrorist organizations now operating in various parts of the world. Most are in the Middle East and Africa, but others are found in the Latin American countries, Europe, Asia and even the United States. These are chosen from a list of more than 200 operating known terrorist groups in the world because they are described as a possible threat to the United States or the nation’s interests. What is especially interesting about these groups is that they almost all consider capitalism and greed as their enemy. They perceive the United States a natural enemy because it is a capitalist bound nation that attempts to impose its system of government and way of doing business on other countries; especially those rich in natural resources. This is especially true among the Islamic terrorist groups. Their hatred of America stems directly from the Islamic religion, which opposes greed and corruption. And let’s face it -- the United States has had an interest in the affairs of nearly all of the Middle Eastern nations for a long time. That is because the richest oil fields in the world appear to be centered there, and right now oil is the hottest commodity on the market. It runs our industry, our transportation, or aircraft, our ships and our heat. Our economy is based on oil instead of gold. We manufacture a lot of things from oil, including plastics and fabrics, which go into almost everything we use. Afghanistan is the center of world poppy production. Most of the opium-based drugs in the world come from there. And where there appears to be only rock and mountains, the ground below appears to be rich in valuable minerals that have only begun to have been tapped. So there is ample reason for the U.S. Military to be fighting for control of that country too. The fight is on behalf of American corporate giants who drool over all of the money to be made if and when the U.S. ever gains control. This is the big question; “IF” the U.S. ever gains control. Russia attempted to do it and gave up. Now U.S. forces are trying to accomplish what the Russian army failed to do. This is why the Taliban exists. And this is why the Taliban is fighting so hard to drive U.S. forces out of Afghanistan; just as it did when Russia was doing the same thing. The general rule...when there is war and chaos and you want to find out the cause, just follow the money. There is a lot more to this story. 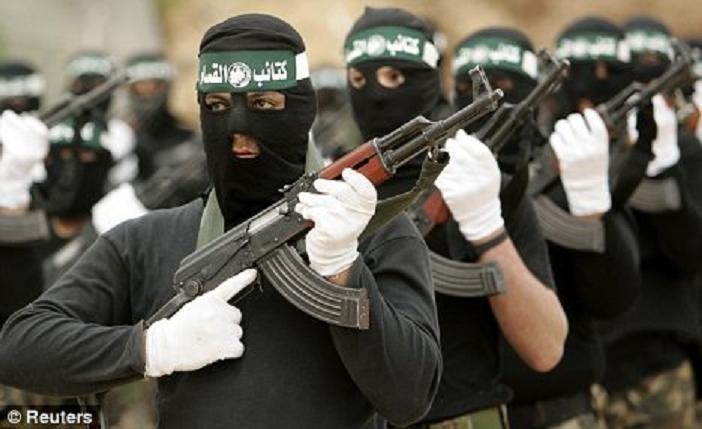 Search through our section on terrorism and discover what is known about many of the terrorist organizations that have sprung to life, who they are and why they exist. Most are radical religious groups dedicated to winning self-proclaimed wars on behalf of Allah, or God. Some like the Taliban appear to be fighting to defend their homeland, and using terrorist tactics to stand up against a highly equipped military like ours. While some groups claim they are fighting for Allah, we are quite sure that God has nothing to do with it.